So my friend came to me one day to complain that he wasn’t getting enough likes for his posts on his social media networks. After checking out his feed, I gave him some tips that I thought were pretty common knowledge, but seemed to surprised him. So I thought, hey, why not share my pointers with you? Though these pointers are simple, they are highly effective in getting your friends and family going. Oh, and if you’re wondering about my friend, he got back to me last week to tell me that his posts were getting more likes than ever. So here they are, my tips to getting more likes on your social media networks. Timeliness is everything. Posting something when the majority of your friends are online will increase the likelihood of getting comments and/or likes. For example, think about how many likes you would get for a picture posted at 2am (when most people are asleep) VS a picture posted at 8pm (when people are home after work). You can track these sort of things by using analytic tools, or by simply making a note of what time your stuff gets more likes/comments. What you share is important. Share something that your friends and family can relate to, or will be interested in. That means toning down selfies of you or of your furry feline! There are only so many times a person will like or comment on your constant stream of the same material. Share stuff that is interesting, and has substance. Have you ever come across people on social media networks that go, “Like this!”, or “Follow me”, or “Please click on this”? What has your reaction been? Because mine would have been to completely ignore these kinds of requests. Don’t be that kind of person. 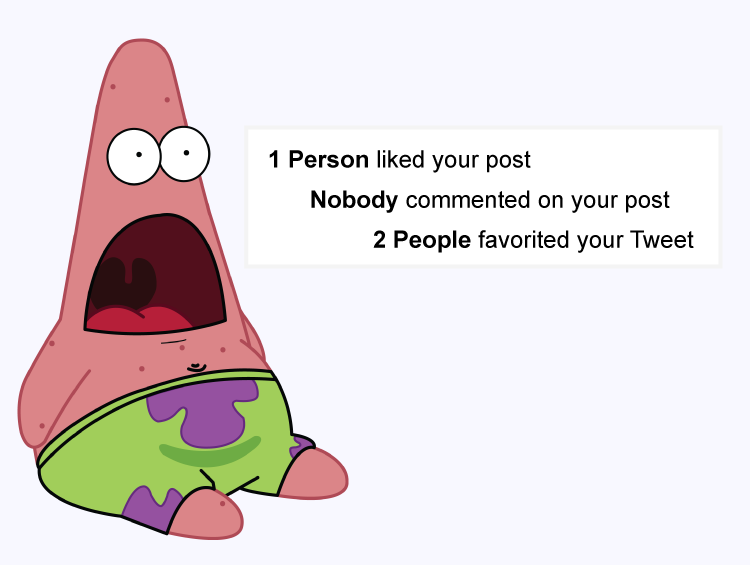 Work on being awesome online instead, by giving people a reason to like what you share. Do comment below and share your methods for earning more likes/comments the right way. I’d love to hear from you. Yuna, out!